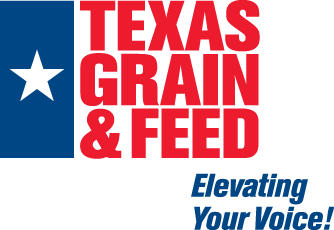 Texas Grain & Feed Association is made of member firms that represent virtually every facet of the grain and feed industry. From country elevators and retail feed stores to the export elevator and large integrated and commercial feed manufacturers, TGFA members are an integral part of the agriculture industry in Texas. The diverse membership strengthens our voice, which is represented in nearly every legislative district in Texas. TGFA provides an environment that promotes both social and professional interaction and fellowship, resulting in lifetime memberships and life long bonds. As reputable and honest members, we promote and ensure fair and equitable trade in the industry. As leaders, we represent our industry's interests at both state and federal government levels, as well as others that are associated with our industry. As stewards, we continue to strengthen our industry through education and the promotion of our members' general welfare. Texas Grain & Feed Association was founded as the Texas Grain Dealers Association in 1898. When TGFA began, Texas had been a state for only 45 years and there were few state or federal government regulations or agencies affecting grain and feed trade. When members of the association bought or sold grain and feed ingredients, it was often in very large quantities and confirmed with an oral agreement. Simple terminology such as freight rates and storage costs varied widely, making buying and selling difficult and inefficient. TGFA began with the mission to create order, trust, credibility and integrity and 119 years later we continue to adapt to industry changes and unite our members to create a better industry.